It's not always that easy. Even some of today's trainers at Wing Tsun Kung Fu Vancouver had their doubts. From "The open house didn't blow me away." to "this time my mind was far more open. ... I found myself nodding in agreement with everything being said. It was all so logical, practical and realistic." can be a long but exciting way of discoveries. Realize your true potential. Wing Tsun Kung Fu can in a very unique way boost your perception, raise awareness of your surroundings, enable you to confidently judge a possibly dangerous situation. One of our trainers wrote: “Finally a realistic, devastatingly effective self-defence system that strives to teach us not to fight!” Only if you have no choice of talking your way out of a particular scenario and the physical attack is imminent, only then a Wing Tsun Kung Fu practitioner will defend him/herself, aggressively attacking the opponent leaving him no space, time or opportunity to hurt you. Read about many different experiences. Go to our special Open House web site at www.FreeSelfDefenseClasses.com and click the 'Trainer Team' tab for a variety of remarkable stories. Read ten personal stories of Persistence, Perseverance and Patience. 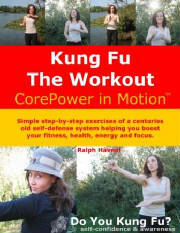 Old and new members of the trainer team at Wing Tsun Kung Fu Vancouver share their martial arts biographies with you. Enthusiastic stories, describing at times long journeys. Inspiring and motivational moments, as well as many quiet thoughts as to focus and values in life. 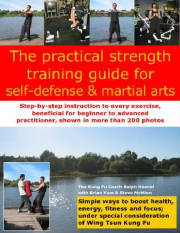 - Finally a realistic, devastatingly effective self-defence system that strives to teach us not to fight! - One can study casually or fanatically, yet there is always something to improve. - I have made many good friends in Wing Tsun class. 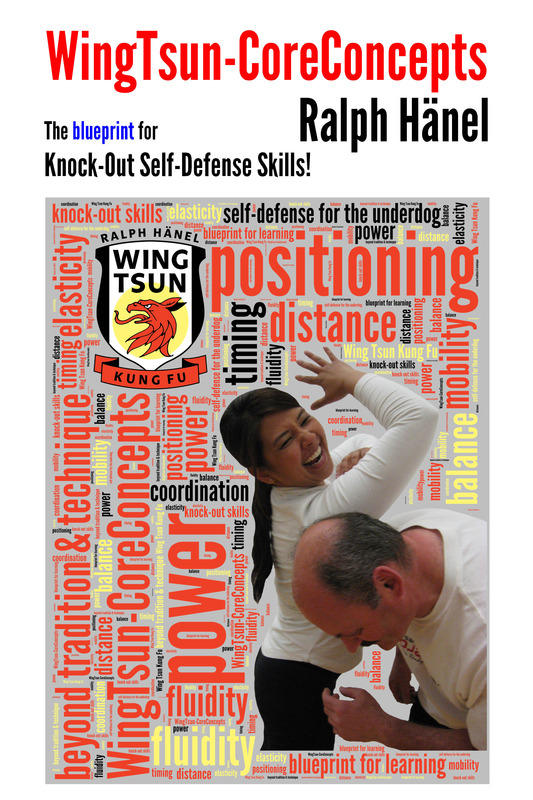 - I personally enjoy the quickness, smoothness, flexibility of this self-defense system. - The trial lesson turned out to be one of the most eye-opening experiences that I had ever experienced in my martial arts journey. - The fact that Wing Tsun is such a deep yet simple martial art, has helped to keep my interest through the years. Go to our special Open House web site at www.FreeSelfDefenseClasses.com and choose the tab 'Trainer Team'. For our members - Have you had a chance to download the newsletter for August and September? Sign-in now at the online 'members only' area. Direct links to individual past blog entries. Read it now! - Seminar feedback, How to bring Chi-Sau to life! - Healthy critique? - Fred Astaire and Wing Tsun? - Which is the right Wing Chun? (3-part mini series) Go to part 1, 2 & 3. Tomorrow meet some of the members of the Trainer Team and read their interesting bios. I started this blog initially on March 20th of this year and followed through until the end of April. Technical issues on the server side stopped everything for a while. Other projects became paramount and demanded time. But now we are finally back online with the blog of Wing Tsun Kung Fu Vancouver. Today we want to resume with a look at the possibilities of making your exercises more productive, to go beyond techniques. Over the next weeks we will also answer questions as to what the WingTsun-CoreConcepts mean, where the term comes from, what it stands for. For years now I have seen that many traditional Kung Fu instructions are allover the place in terms of explanations. While many wing chun maxims and proverbs may be genuine, artistic commentaries on the wing chun style of Chinese boxing and have been handed down through the generations, still the need for a organized, didactic teaching system is obvious. Retain what comes in, send off what retreats. Rush in on loss of hand contact. Do not be lax when your opponent is not advancing. Once your opponent moves, his center of gravity changes. Make the first move to have control. Attack according to timing. Timing is achieved through practice. The list could be continued for pages to come. Does this now appear to show an efficient way of teaching? Not in the opinion of many. Again, a systematical approach to learning and teaching Wing Tsun Kung Fu is a absolute necessity considering the many walks of life students typically come from. Where does the famous Chi-Sau fit in? It is a very sophisticated training method, unique to the Wing Tsun system. Although some martial arts use today fragments of Wing Tsun Chi-Sau in their training, why not learning it complete? First off - Three teaching and learning programs are in place, the three columns of Wing Tsun Kung Fu, making it a interconnected learning experience. At first the student learns the basic techniques, a 'blueprint' of points of reference, through the training of the Wing Tsun forms. The second program, Chi-Sau the 'clinging arms' exercise, teaches us to transform these techniques into reflex-like responses, using the direct input of the actions of our training partner. We learn to feel the direction, speed and power of an attack. The third column is Lat-Sau, the fighting programs, which put the student increasingly under stress, to prepare for a variety of outcomes in chaotic, yet instructor controlled scenarios. The idea of 'WingTsun-CoreConcepts' has evolved over the course of the years as my personal method of teaching Wing Tsun Kung Fu. Beyond the techniques it considers ten crucial points of reference while teaching and learning a specific scenario. More about that in upcoming blog entries.